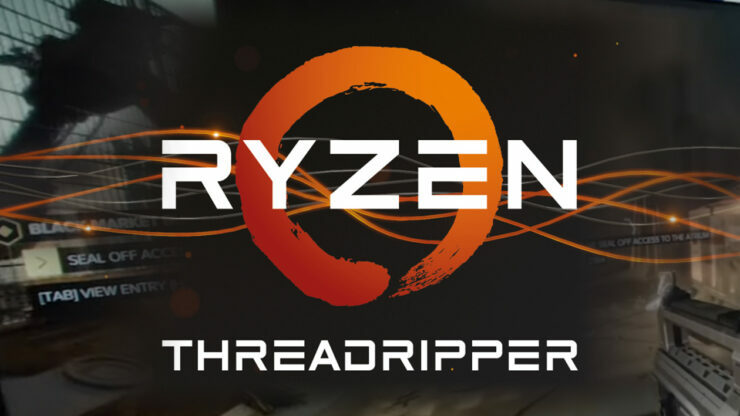 AMD is soon going to launch their second generation Ryzen Threadripper processors for high-end desktop PCs. The new processors will start a new round of core wars between AMD and Intel which started when Ryzen launched in early 2017. Now, we are witnessing another huge jump in the core count on HEDT processors and it looks like AMD is going to take the lead in this race. 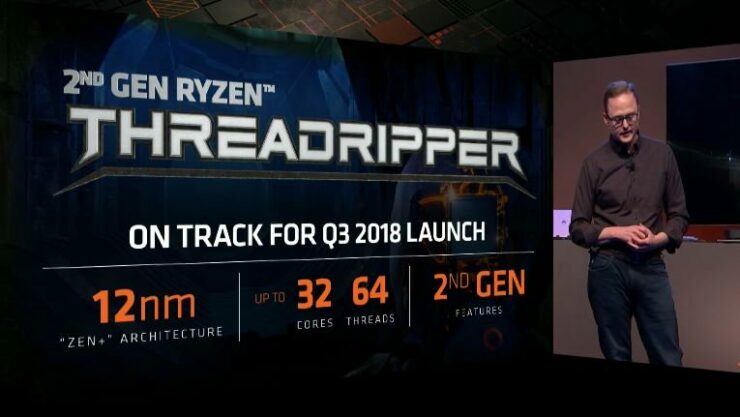 Update: The AMD Ryzen Threadripper 2950X is confirmed to be a 16 core, 32 thread CPU instead of a 24 core, 56 thread part. That configuration is reserved for the Ryzen Threadripper 2970X. Related Be Fearful When Others Are Greedy – Are Tech Stocks Overcooked? The AMD Ryzen Threadripper 2000 series processors were officially revealed at Computex 2018. We got to see two parts in action by AMD themselves in live demonstrations. AMD revealed that the processors will be launching in the second half of 2018 and since their announcement, we’ve seen various leaks in regards to performance and prices. The chip will rock 32 cores and 64 threads that eclipses Intel’s halo product which will sport only 28 cores and 56 threads. The chip is expected to feature a base clock of 3.4 GHz and a maximum boost clock of 4.0 GHz while the precision boost overdrive clocks are rated at +200 MHz so expect up to 4.20 GHz in single core optimized workloads. This shows that AMD can still achieve very high clock speeds even when they jumped to twice as many cores as their previous flagship, the Ryzen Threadripper 1950X. Other details include 16 MB of L2 and 64 MB of L3 cache which rounds up to a total of 80 MB of available cache on a single chip. The TDP of the chip as stated before will be kept at 250W and all current generation TR4 socketed boards will be fully compatible with the 2nd generation Ryzen Threadripper processors. When compared to the Core i9-7980XE. the Ryzen Threadripper 2990X at around $1500 US offers better architecture based on a 12nm process, 14 more cores, 28 more threads and for $500 less since the i9 costs a grand $2000 US. Comparing it to the Ryzen Threadripper 1950X, we get 16 more cores, 32 more threads, faster clocks at just $500 US more. According to the retailer price, AMD may not be taking the price to a higher premium and charging about 50% more than the 1950X which costs less than its launch price of $999 US if you check the market. If prices are anywhere close to this, it would be another great product for the high-end market and put Intel’s HEDT in a lot of trouble which can cost in excess of $2000 US considering their new platform and Xeon Platinum prices. 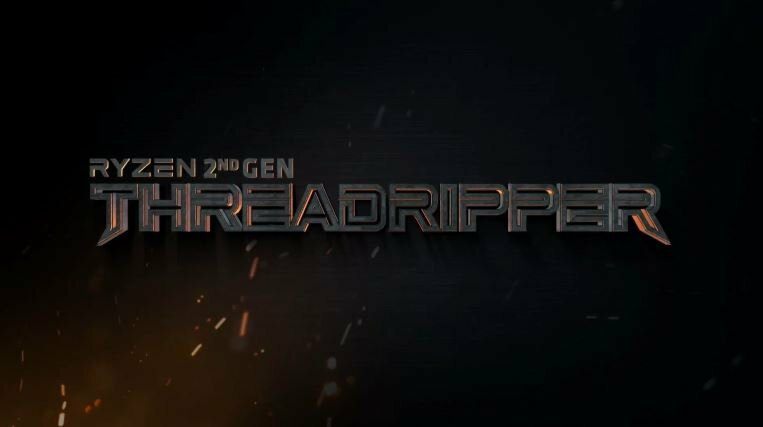 The Ryzen Threadripper 2950X will feature more cores than its predecessor, the 1950X. We are looking at the same 16 cores and 32 threads. We don’t have the clock speeds of this chip except that it will rock a 250W TDP. The chip is expected to ship around the $999 US bracket. The models AMD showed use the same four die CCX configuration which is being used on the current Ryzen Threadripper processors which are connected via the Infinity Fabric Interconnect. Only two of the dies are active just like the previous parts. While AMD had two of the dies disabled on the previous processors, the new 2nd generation processors will be using all four dies (enabled) on the 2970X and 2990X. Just like Pinnacle Ridge processors, the new Ryzen Threadripper processors will feature the latest Precision Boost and XFR clocking techniques for more stable and efficient operation over the current Threadripper variants. We can also expect faster clocks out of the box in terms of both base and boost frequencies and a good gain in overclocking improvements. 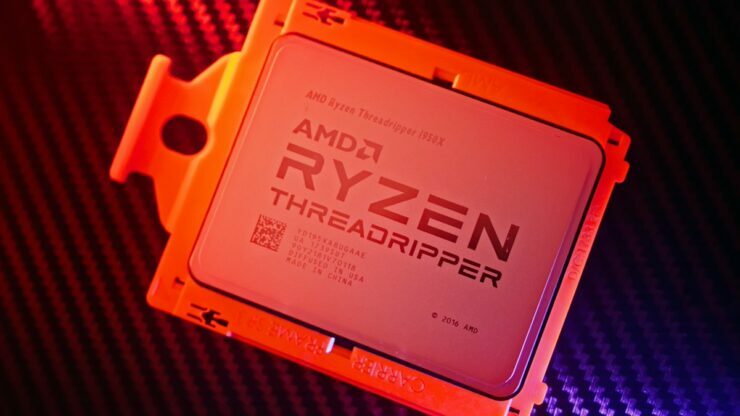 The new processors will run at a TDP of up to 250W which might exceed some entry-level X399 motherboards, but that won’t be a really big issue as AMD mentioned that you can simply replace your current generation Threadripper CPUs with the newer ones on 1st gen X399 motherboards. They haven’t assured the same level of performance, clocks or overclocking benefits as the newer refreshed boards though. On the X399 front, we will be looking at a slew of new refreshed designs, specifically built for the 2nd Generation HEDT processors. We have already seen the MSI MEG X399 Creation and AORUS X399 Extreme designs so we can also expect other products from the remaining manufacturers. We will have more details for you in a couple of days regarding Ryzen Threadripper 2000 series so stay tuned. Which AMD Ryzen Threadripper 2000 series processor are you interested for?